This is an In Person Signed Colour 10" x 8" Photo of the American Golfer. 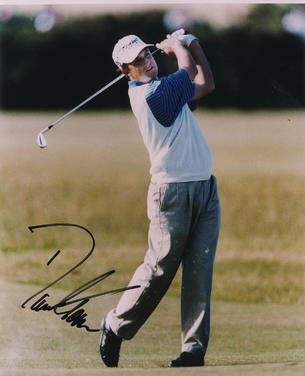 David Wayne Toms (born January 4, 1967) is an American professional golfer who plays on the PGA Tour. He has spent a considerable amount of time in the top 10 of the Official World Golf Rankings (over 175 weeks between 2001 and 2006) and ranked as high as 5th in 2002 and 2003.